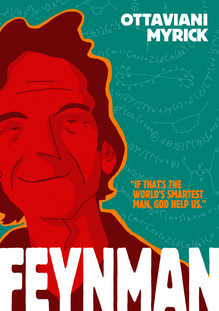 Posted on Fri, Mar 9, 2012 : 8:52 a.m.
Jim Ottaviani, an Ann Arbor-based author of a graphic novel about scientist Richard Feynman, will be one of three authors giving free workshops in Chelsea. This day-long event brings three nationally known authors and illustrators to Chelsea schools to present workshops, free of charge: John Nickle, author and illustrator of The Ant Bully, Alphabet Explosion, and illustrator of Hans My Hedgehog; Tony Abbott, author of more than 75 books for elementary readers including The Secret of Droon series and The Postcard; and Jim Ottaviani, an Ann Arbor-based author who writes about science in an approachable, enjoyable format: comics. On Saturday, March 3, 2012, seven students from Ann Arbor Public Schools (Huron High School, Skyline High School, Clague Middle School, and Slauson Middle School) who study Japanese at Ann Arbor’s Ohara Language Institute took part in the 2012 Michigan Japanese Quiz Bowl competition on the campus of Michigan State University (MSU). All three Ohara Language Institute teams won first place in their divisions. By: Anthony: Fireworks or Gunshots Fired ? By: Julie Lubeck-Hofer: Relay For Life of Ann Arbor Gears Up for a World with Less Cancer and More Birthdays and Active family time in the morning and pampering just for mom in the afternoon. By: Let me be Frank: Where's the news report on shootings March 6th, 10 PM near Stone School and Birch Hollow? By: Mary Kate Cartmill: Help UofM Student finalist win a once in a lifetime internship! By: unionbbc: Excited for spring training baseball? Congrats to the Ohara Language Institute students! Very cool.